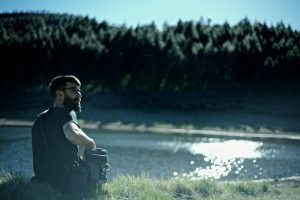 My name is Manuel Peña and I’m a 28 years old Spanish videographer who mostly make commercials, documentaries, and wedding videos. In the last few months, I have started to collaborate with a former teacher of mine who is currently shooting videos with his students, normally for educational purposes. Since I have always wanted to develop a serious project as a Director of photography, I was delighted when he asked me to assist him as a DOP for “Festivalito” an iconic short films contest in the island of La Palma, Spain. I also operated my GH5, took care of the sound capture and edited the whole film under his supervision. In a few words, I was an all-purpose technical assistant. The shooting was really extreme. We moved to La Palma and had just one day to shoot and edit the whole short film. 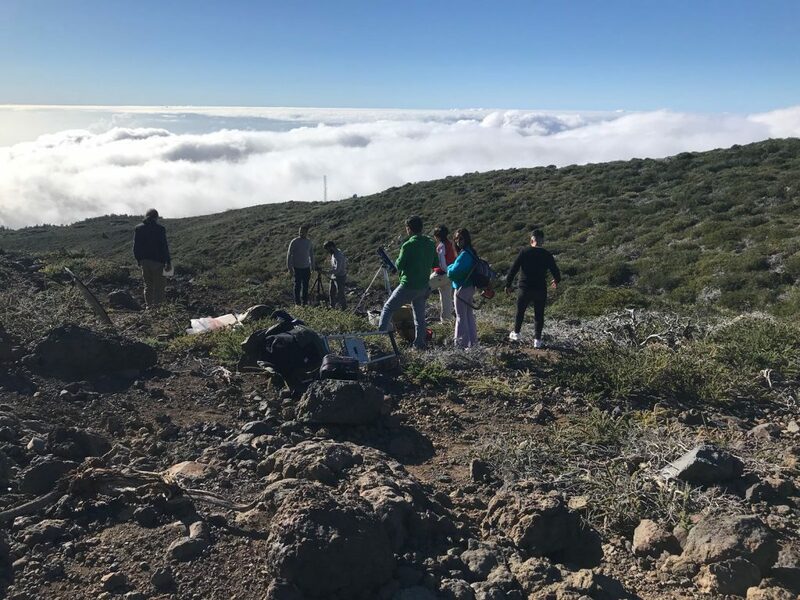 We had indoor shots in the amazing facilities of the Grantecan (Canarian Great Telescope, one of the biggest in the world) and indoor shots in its surroundings, at almost 3,000 meters high and temperatures under 7 Celsius. On top of that, as we were just a school class, we didn’t have any production or logistic assistance. Everything was on us. In terms of storytelling, I was very close to the director’s vision, so I didn’t find it difficult to propose a visual style for the project. I focused on the sky-ground contrast, enhancing the brown, orange tones on the land and saturating some blues and teals in the sky. Inside the telescope, the biggest challenge was to get a proper exposure into the colossal building. The director wanted to suggest some loneliness around the main character, so I also tried to isolate him by playing with color, lights and depth of field, especially in the close shots. The edition process was exhausting. After 13 hours of tough shooting and a long car trip back home, we had no time to rest and just put our heads in front of my Macbook. And it was then that FilmConvert became a crucial tool. I have been using FilmConvert on every project I make for quite a long time, and I was perfectly aware of its power to generate convincing and solid cinematic, film-looking images. I’m now editing and color grading on Final Cut Pro, and even if I find it very smart when it comes to get “the look”, I tend to focus on the FilmConvert color tools when I can’t afford a high time consumption. Most of the times the final results are equally good, if not even better. On this video, I’m using the FJ SuperX 400 with film color and curve at 80%. The grain is around 30%, based on 35mm Full Frame. I also adjusted temperature and exposure using the FilmConvert controls. No LUTs were added, I just kept to the FilmConvert control panel to achieve the visual concept I was looking for. The footage was shot in All-i 422 10 bits 400mbps on the Panasonic Cine-D profile, so every setting from FilmConvert perfectly fitted in the rough cut, providing a superb visual experience. I just can say that FilmConvert is not only an extremely powerful plugin for cinematic purposes but also a workflow booster for color grading in projects with apparently impossible deadlines.